Exterior home painting and designing is a time taking chore. It’s not like as you just pick the paintbrush and start painting the exterior walls of the house. It demands experience and skills to perfectly paint your home. Needless to say, perfect exterior house painting marks the style statement of the people living inside it. It sets an example and bestows wow impression to the wall’s exteriors. Moreover, it depicts that if the exterior of the house is eye-opening than how the home would have been kept from inside. If one considers the exterior home painting a serious subject when constructing a new home, he will certainly be thinking the best. He is not only thinking about interior painting design or home decoration but takes the outlook of the home into account as well. 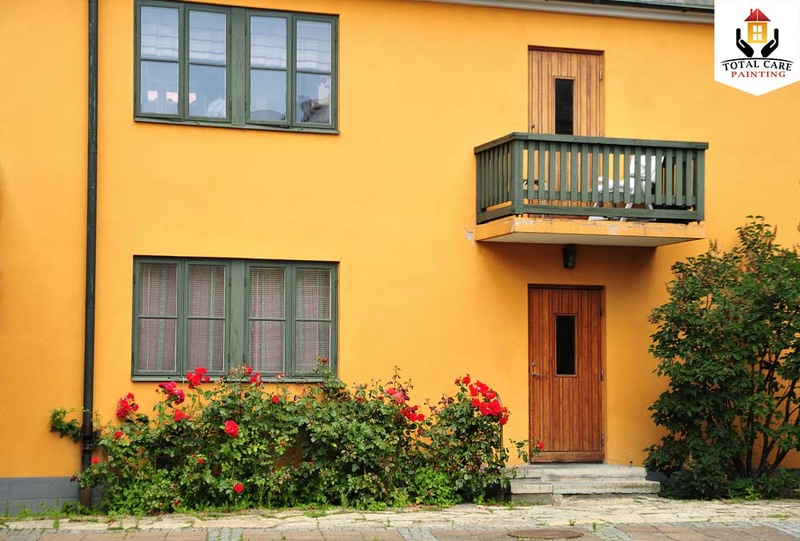 Well, by the hour, the attractiveness of the exterior paint of the home is dependent on the colors used in painting. But choosing the right color can be the hardest part of the job. By chance, you have Total Care Painting, cape cod painting company to assist you in this regard. We are happy to take your exterior home painting project as our owns’. We will always give you an honest opinion and latest trendy ideas about colors that will work best depending on your homes’ infrastructure. We have a team of highly-skilled professional painters that will walk you through the different house paint color schemes and ideas. And will give you the best advice and at last, you’ll come up with perfect colors for your space. Let’s talk about the colors right away that mark your living style and ensures your home stands out from the rest. Brighter tones are recommended only if you want to enhance a modern curb appeal in winter. Or if you are living in a cold temperature locality. It’s because everything around in winter, snowfall is dull. It’s only the brighter tone colors that will give a glossy look to your home. If you want to create a style statement that is customized to your specifications then exterior house paint experts are adroit of using the specified images on the demand of the customers. Wall art is a preferred choice for the homeowners. This masterpiece creativity on the exterior walls is quite in the modern trends. It’s because it gives a distinctive look to your house and marks a landmark sooner or later. If you wish to have a certain piece of artistic design or wall paint but don’t know how to convey the idea to painters. The idea from different completed home project catalogs will be the best inspiration for you. You can search online about the inspiring ideas, look through magazines, browse Pinterest, watch home improvement images, take advice from Total Care Painting professional painters etc. If you have found the thing you were trying to achieve, then communicate with Cape Cod painting contractors for exterior home painting services and get the painting job done right away.